Landing Page – Partner Marketing Whitepaper | DataPath, Inc. When choosing a solutions provider, many third party administrators overlook the importance of a partner marketing program. is often not seriously considered until after the contract is signed. 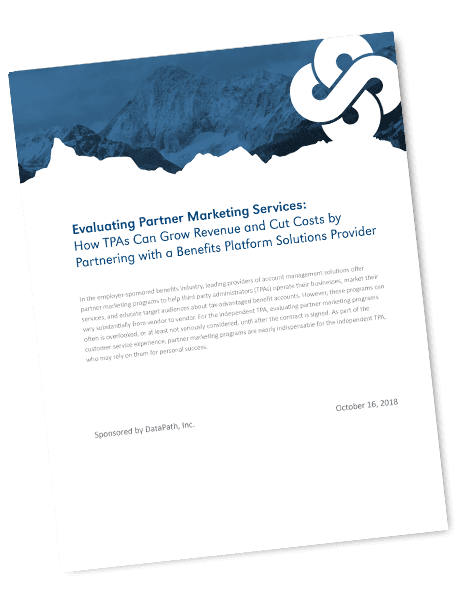 Learn how the right partner marketing program can help you control costs and grow revenue in DataPath's NEW whitepaper!